The very best thing we love about interior design is that it can expand beyond just houses and apartments. It is an art form that can apply to any style of dwelling needed! 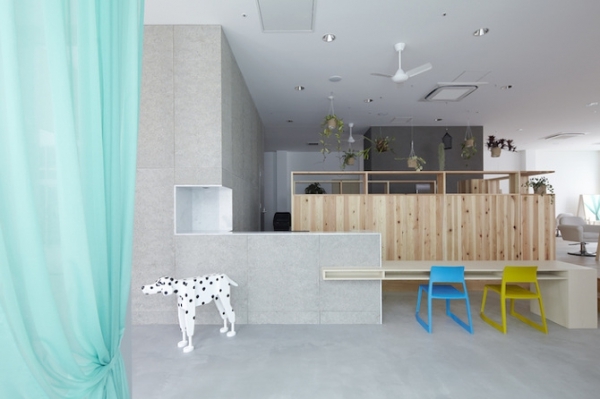 Today’s feature takes us to Kadoma, Japan where a local hair salon gets a major makeover. Hair salons are always going to be a staple in any community as individuals like to keep up with the latest styles and trends. 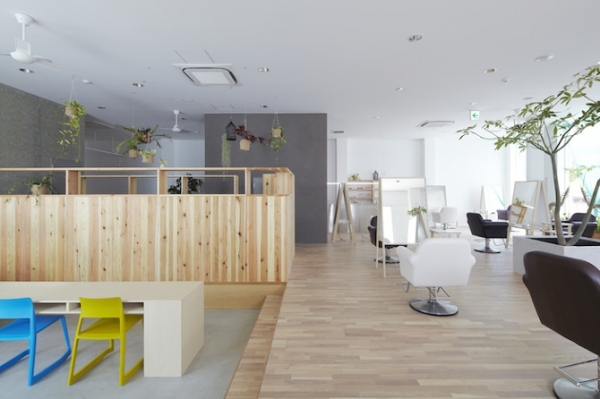 Having a salon that reflects the needs of its customers always leads to booming business. 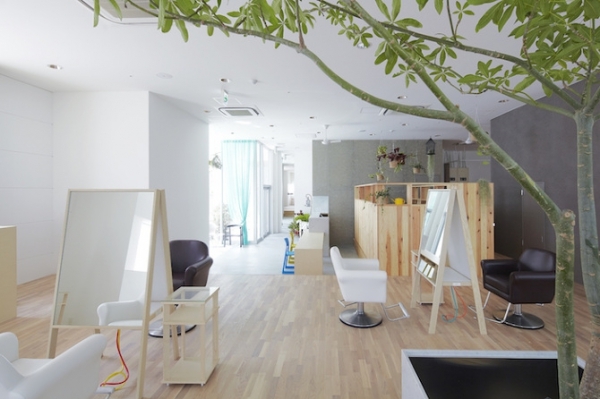 Known as “Le Cinq”, this hair salon was designed by Ninkipen! 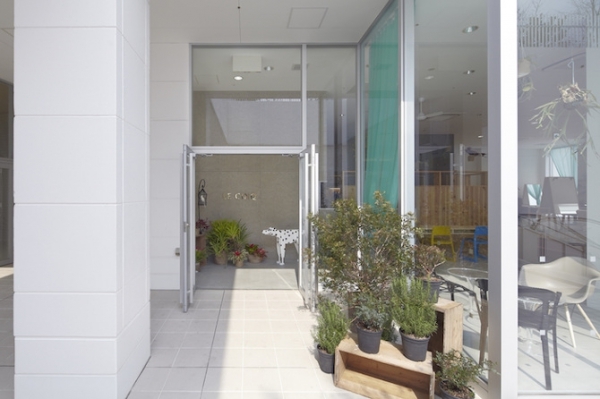 a Japanese architect company that not only crafts homes but also has a rich portfolio in professional establishment designs. 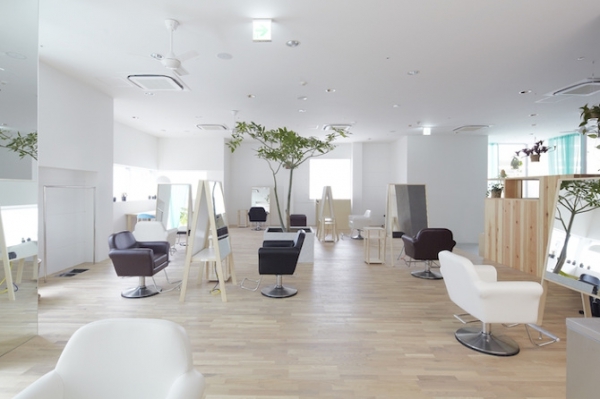 The salon starts with a base of white minimalist design that opens up and increases the depth of the space. 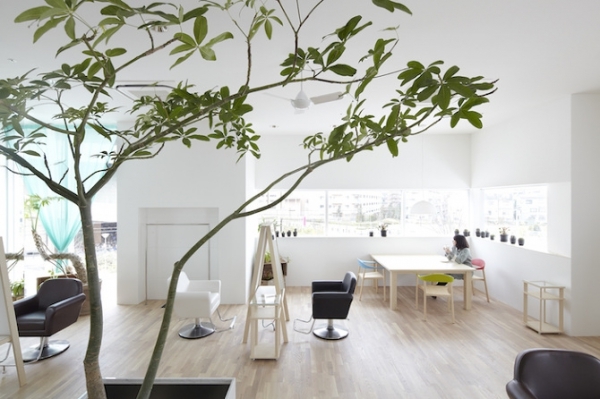 Plant life is added to the center of the salon in order to invoke balance and focus. A soft shade of turquoise is added to the sheer curtains to add to the tranquil environment needed to provide a relaxing experience during a hair service. Other subtle pops of color are scattered throughout in the form of electrical cords and chairs. 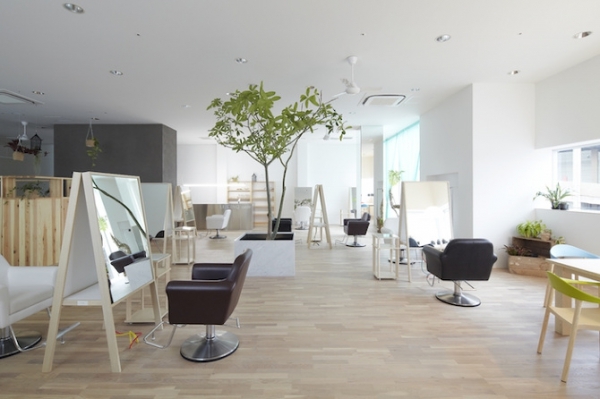 Last but not least, perhaps one of the most innovative features of this salon is the mirrors. Ninkipen! 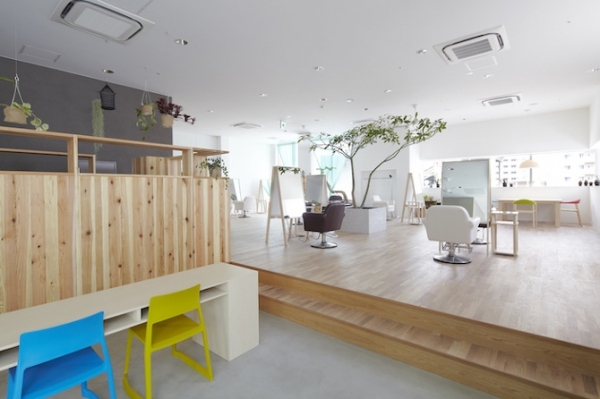 has created a design that allows for the hair salon experience to be a bit more personalized. By arranging half of the mirrors on another angle, the customers no longer have to have the awkward moment of staring at another customer while getting a service which results in an even more pleasurable experience. This is definitely a concept that other hair salons have not caught on to yet. 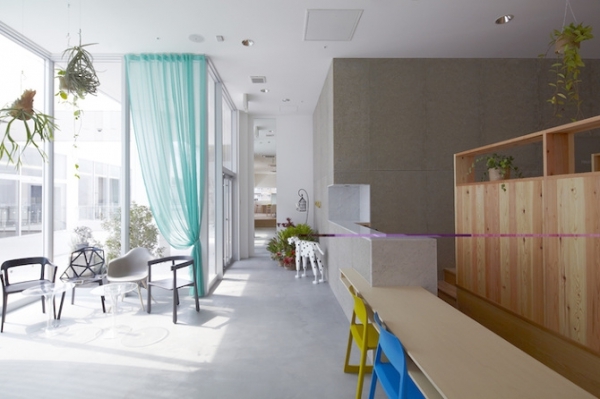 With an innovative hair salon designed by forward-thinking architects, there will always be an abundance of loyal customers for this lucky salon!